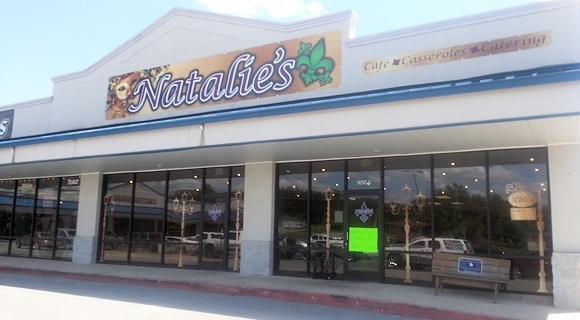 Natalie’s Cafe & Catering is a delightful restaurant colorfully decorated in a Louisiana style theme,featuring a homey, comfortable atmosphere complementing her southern food fare. 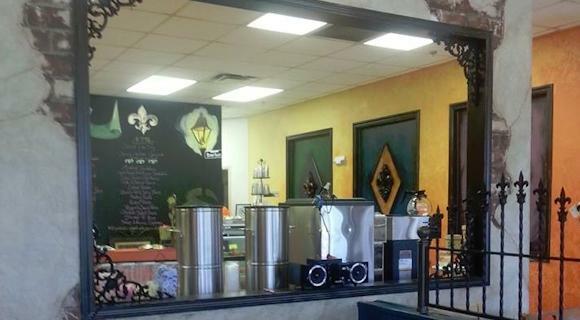 It is conveniently located in the Marketplace Center at 3050 Harrison St in Batesville, AR. The cafe is open for lunch and carry out orders as well as a large selection of frozen casseroles and container deli salads to go. Large group order? No problem, call ahead and we can have it ready for pick-up at a specified time. Looking to cater an event? Natalie would love to help you plan any size event with a menu sure to please any appetite. 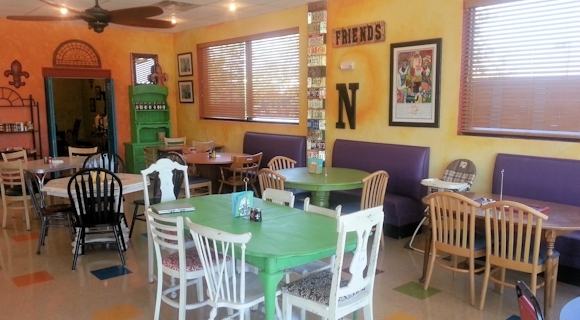 Natalie’s offers an extensive catering menu and meeting space for private functions. Let’s Talk Food!!! You will find a changing Daily Plate Special from Natalie’s vast collection of recipes such as Mexican Chicken, Pasta Milano, Poppyseed Chicken, Meatloaf, Shrimp étouffée and many others keep to things fresh and interesting. A true local favorite, you will always find Cheesy Chicken Spaghetti on the menu! 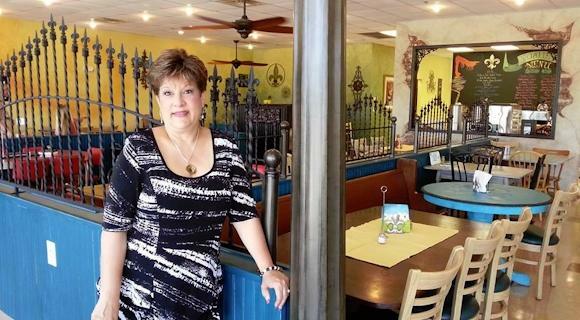 Her regular menu features a variety of homemade soups, numerous deli salads, savory sandwiches and paninis, and even some items sure to please our vegetarian customers,too. You will be delighted each day to see what special goodies have been prepared in Natalie’s kitchen. She has numerous homemade desserts that change daily and are sure to satisfy your sweet tooth craving. If you need something special made just for you, cupcakes, cakes or pies can be yours with advance notice. Always attending to her customers and the cafe, Natalie can be found daily greeting everyone with her warm, friendly, outgoing personality and smile. You will feel like you are eating with a good friend whenever you stop in and she will NOT let you leave hungry! A testament to the thought “Do what you love and love what you do”, Natalie Cox is living her dream. Serving delicious food to her customers is a passion and she wouldn’t want to be doing anything else! 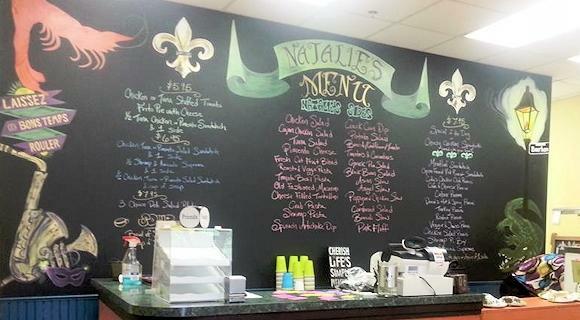 Natalie’s is a warm, cozy, place to find tasty dishes prepared daily and the perfect alternative to fast food. Fresh ingredients, healthy options(nothing is fried on the menu,) and with a large variety of items to choose from…we are sure to find something that will quickly become your personal favorite, too!